With our success from 2014 USC Lion has seen rapid growth in numbers and the addition of a C Grade team for the upcoming season. 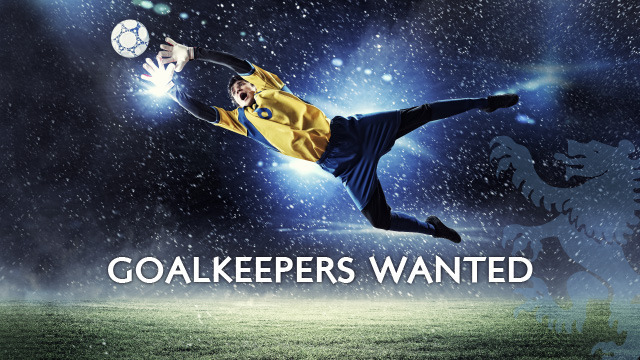 As such we are now on the hunt for new goalkeepers for the club to assist with ALL teams. With a new coaching team at the helm everyone is treated as an equal and all experience levels of goalkeepers are welcome to join our engaging and enjoyable squad of players. If you know anyone or are interested yourself we urge you to contact Luke Hadaj on the details noted below and he can arrange a time for you to come out and train with the squad to see what we are all about. USC is quickly becoming the club of choice in the SAASL competition with a great squad and an even more enjoyable social structure we have no doubt once you come out and have a look you will stick around for some time to come.